Why IEC Temperature Rise Test and Burn Test are so Important? 1. A Series Power Bars have the most Compact design, 1.6″ socket spacing, Can’t take UK plug side by side. 2. 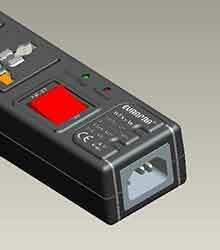 A series Power Bars are CE certified and RoHS certified. 1. 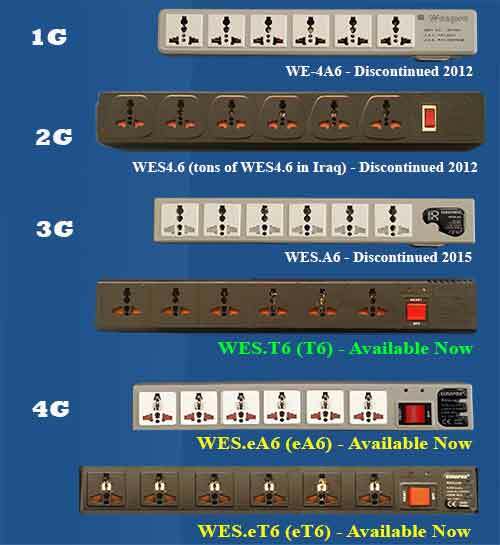 T Series Power Bars have the UK Friendly design, 2.0″ socket spacing, Can take UK plug side by side. 2. 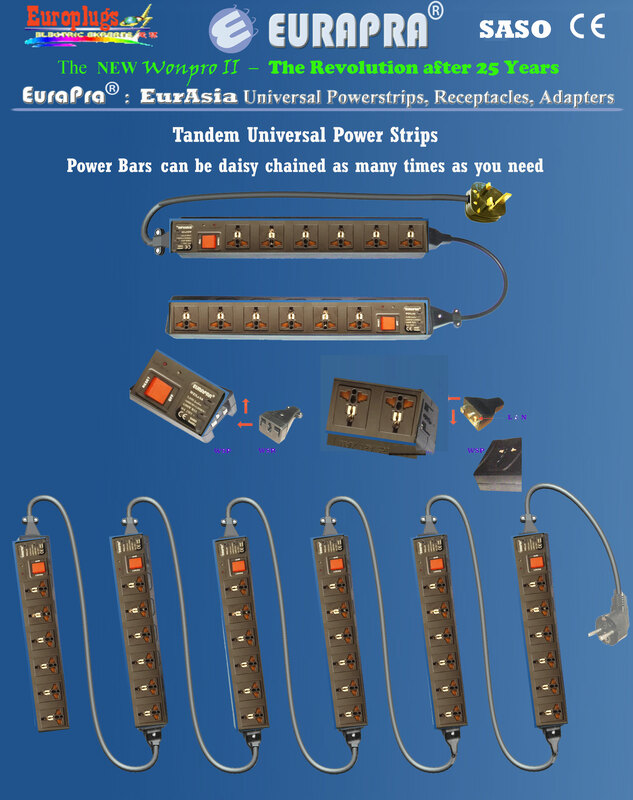 T Series Power Bars are CE certified and RoHS certified. We are the pioneer to add MOV surge protection to universal power strips – and we do it the right way! To prevent “MOV Explosion“, we have an extra fuse on our IC Board to protect our MOVs. 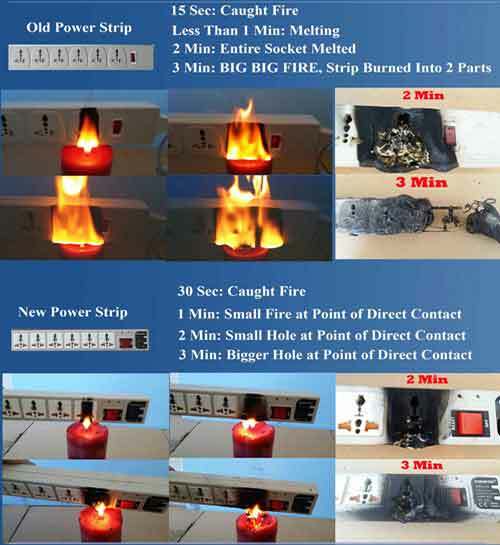 Adding MOV to the open circuit, not on an IC Board, actually add more Hazard to a power strip – “MOV Explosion” can start a big fire. 3. Add a Ground LED light, a MOV LED light – now it is an Intelligent universal power strip! Enable you to tell if the MOV is still working (not burned out by a surge yet). 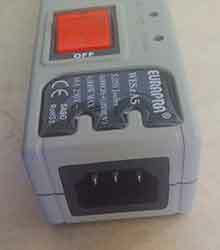 If the MOV surge protection is burned out, you have the option to decide to continue to use this power strip or to throw them away – in the old model, you have no way to tell if the MOV is burned out or not. 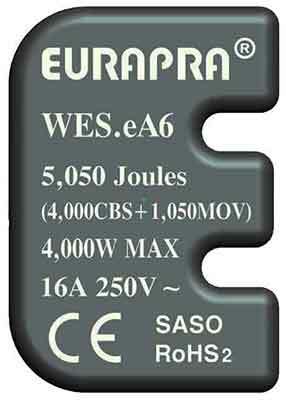 It was very difficult to insert US plugs into the universal sockets of a WES4.3, especially US plugs with “flat end” (those with “curved end” are a little easier to do). Even worse, the old safety shutters will slowly “push out” US plugs; i.e., after a few days or sometimes after a few hours, suddenly your application will lose power without any warning – because the old safety shutters has pushed your US plugs out of the socket. Yes, you will get the “daisy-chain” feature for free. Upgrade the plastic to the highest quality Non-Flaming “PC”, with twice the “impact strength” of “ABS”. The report says “PC” is better than “ABS” in every aspect except pricing – it is true that “PC” material cost a lot more! 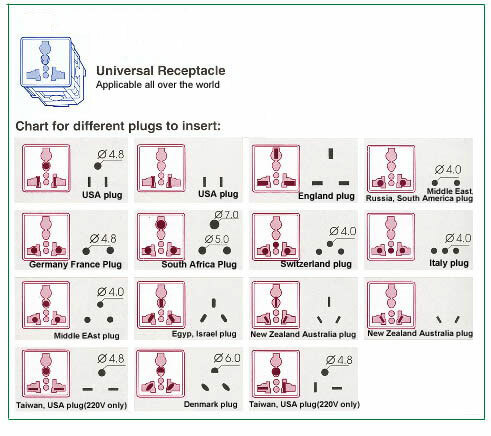 1. eA Series Power Bars have the most Compact design, 1.6″ socket spacing, Can’t take UK plug side by side. 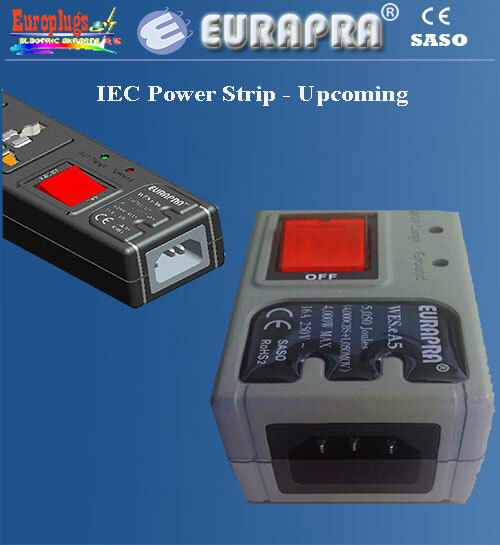 2. eA series Power Bars are CE certified and RoHS 2 certified. 3. Kept all 3G enhancements except the following new upgrades. Build a power strip the right way, not the “lazy” way. 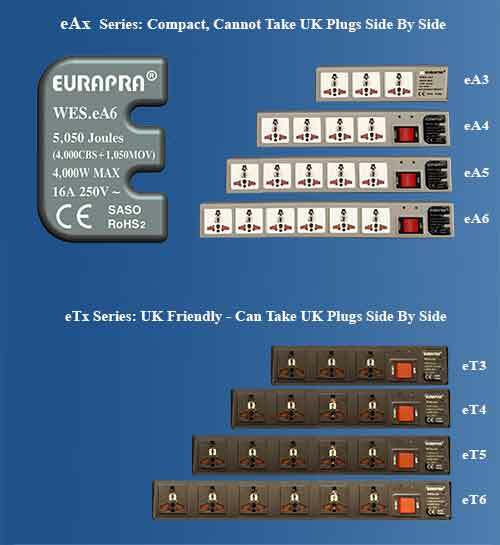 1. eT series have the UK Friendly design, 2.0″ socket spacing, Can take UK plug side by side. 2. eT series Power Bars are CE certified and RoHS 2 certified. The old BIG safety shutter dictated the old T series of power strips and ALL “Generic” Universal Power Strips to be very WIDE, very BIG: at least 65 mm or 2.56 inches. With this completely redesigned new Safety Shutters, the width of the new eT series of power strips are only 54 mm or 2.126 inches, close to 20% of Reduction in Width. 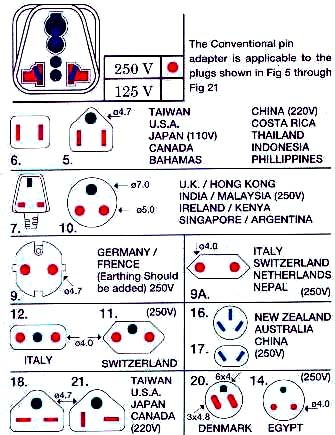 That is, eT is the world’s most compact universal power strip but still meeting the UK power strip’s width requirement.